It’s that time again: Re-Enrollment time! Although this may seem like a nuisance, it is very vital information for developing the 2018-2019 budget. We want this information to be returned to us by March 16, 2018. Any re-enrollment forms turned in after the deadline will be charged a non-refundable $50 late charge that is not applied to your registration fee. To be honest, this is an effort to have everyone return their forms in a timely manner. This information plays an important role in planning for the upcoming school year. As a returning family you will notice a few changes to the Re-Enrollment Form. If you have received tuition assistance in the past, you will not be required to fill out the Financial Application Form or the Tuition Schedule Worksheet. You will still need to fill out the Tuition Assistance Program forms from the Nazareth Guild and the Central Washington Catholic Foundation. When the time comes, we will be contacting you. This is still a requirement to maintaining tuition assistance at Tri-Cities Prep. Regarding your current tuition, you will see a 2.2% increase to your tuition for the 2018-2019 school year. The 2.2% increase follows the escalation by inflation. For families who receive additional tuition assistance due to extenuating circumstances, the tuition rate will be reviewed in an effort to reach full participation in the Fair Share Tuition model. These changes are all an effort to make things more equitable for ALL our families. In short, everyone doing their fair share. I know that we are all busy, and yours truly has been guilty in the past of not returning my son’s re-enrollment form. So don’t be a Lisa, turn in your form by March 16th along with your non-refundable $100 registration fee. 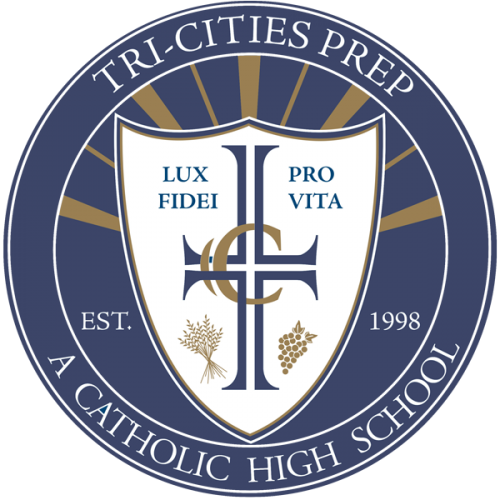 It goes a long way towards planning for a successful year at Tri-Cities Prep. If you have any questions regarding our new process or your tuition for the upcoming year, don’t hesitate to contact Brigid Lee at 546.2465.